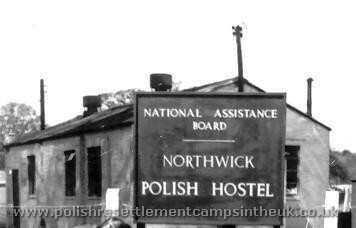 In 1948, with my parents, I arrived at one such camp for Polish displaced persons. I was nearly five. 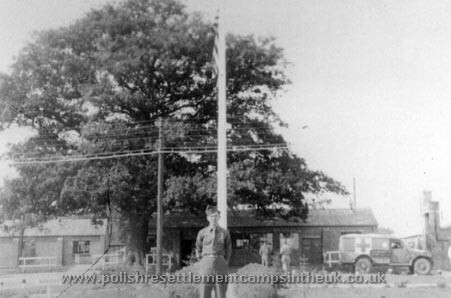 The camp was built in 1943 as an American field hospital and was designated as camp 232, the 327th Station Hospital under the command of Colonel Benjamin Moxness. 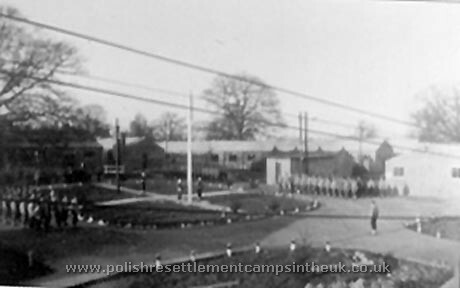 In 1944 the International Red Cross took over the running of the camp and they had absolute jurisdiction, as Protecting Power, over all POW's in England and as a result many German POW`s were treated at the camp. After the war it was abandoned until 1947-8 when it was handed over by the War Department to the Ministry of Works and the Ministry of Health for occupation by the Polish Resettlement Corps. 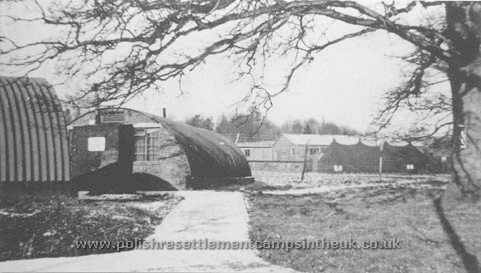 You can just see the barbed wire fence between the nissen hut and the barracks and tents. A cluster of seven huts and what looks like an ablution block on the left. The sign at gate no1. 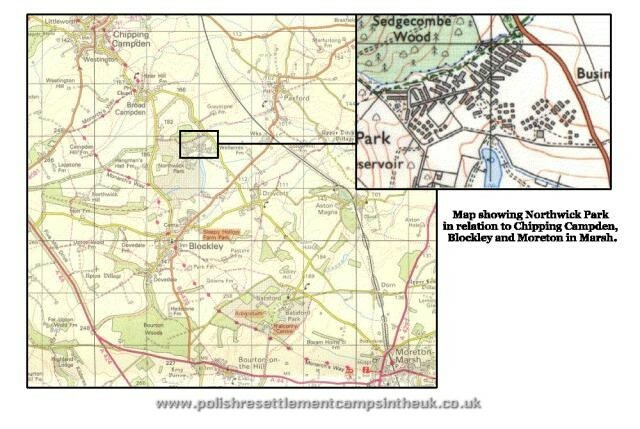 Situated in the beautiful Cotswold countryside about half way between the pictures villages of Chipping Campden to the north and Blockley to the south, the camp stood on about 70 acres in the grounds of the Northwick Park Estate in Gloucestershire that belonged to the Spencer-Churchill family. There was a grand Cotswold stone house with out buildings, stables, walled gardens, green houses, an orchard, and two large lakes surrounded by rolling fields and woods. 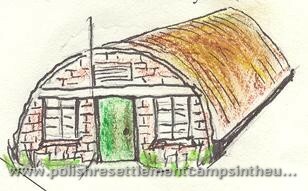 The camp, not visible from the house, consisted of 55 corrugated asbestos nissen huts in clusters of 8 to 10 surrounding brick built wash and toilet blocks with showers, baths and w.c. and although there was hot and cold running water inside, the buildings were not heated and very cold in the winter.. There were also some cold water taps placed strategically outside from which we drew our drinking water. These facilities were shared by 10 to 15 families in each cluster. The nissen huts were divided by a brick wall so that they housed two families. There was a door and two windows at each end of the hut. The floor was black bitumen or something of that nature and for heat there was a round coke burning iron stove. There were also 28 or so long brick barracks with a covered walkway linking them. These must have been the hospital wards as they originally had 2 to 3 small rooms, toilets, a wash room and long wards. The wards were later converted into individual rooms. 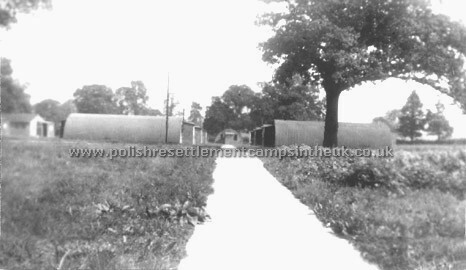 There were also 8 plaster board long huts, 3 of which were used for living accommodation and the rest as storage units. There were three entrances to the camp. 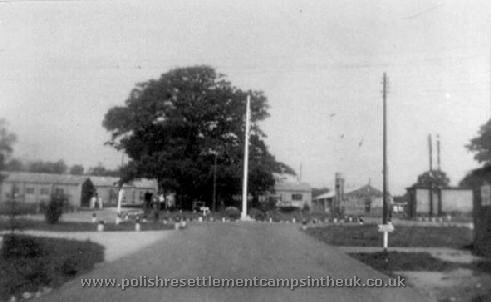 Number 1 was the main gate with a road leading to the centre of the camp, where all the administration blocks were situated and a large communal kitchen and dining hall. Gates 2 lead to the plaster board huts and gate 3 had an access roads to the far end of the camp past the chapel, the back end of the kitchens leading to the main boiler house, which heated the water for all the brick buildings..
As the camp also served as a prisoner of war the camp it was surrounded by a high barbed wired fence and wooden watch towers.